This is a situation that I imagine may be familiar to many parents, and to learners in general. Why is it that some things are so difficult to recall, while others you learn by heart without even realising? Think about it: have you ever sung along to every word of a song on the radio? What comes after the letter ‘r’ in the alphabet? Can you remember any nursery rhymes? You have almost certainly known all the words to a favourite song at some point. How do we remember the alphabet if not through melody? And the simple songs we learn in early childhood are, to some degree, never really forgotten. A few years ago the University of Edinburgh conducted research in which it found conclusive evidence that singing and melody can be a wonderful asset in learning a language. In their experiment, three groups of subjects were given phrases to memorise in Hungarian, which they would need to repeat 15 minutes later. The first group heard the phrases spoken, the second group heard them to a rhythm, while the third heard them in song form. The third group was able to recall much more of the phrases - and with much greater accuracy - than the other two groups. These early years, she goes on to say, are crucial in terms of the brain’s development, with 95% of its growth occurring at this time. She cites studies in which children who receive music classes for only an hour a week display far greater aptitude for the grammar and pronunciation of a new language than others who engaged in different extra-curricular activities. Language as a form of communication, she reminds us, was only really developed 200,000 years ago, while the human race has been making music for around 500,000 years, so it’s really no wonder that the parts of our brain used for language learning overlap so considerably with those that we employ with regards music. But how can you use music to develop your own language learning if you aren’t a musician? 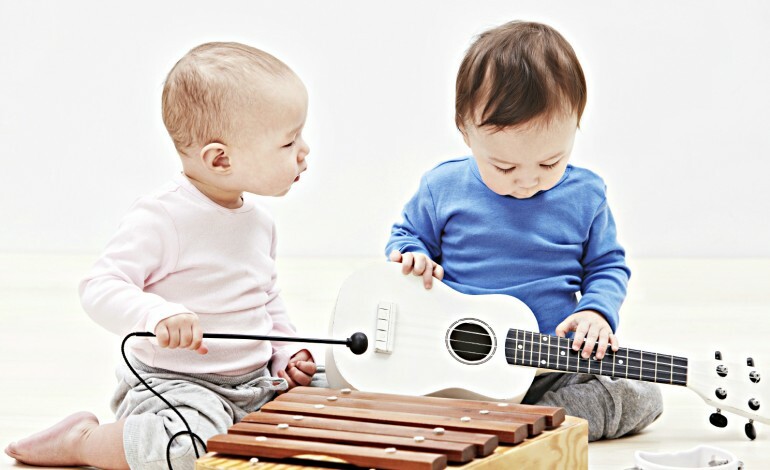 As the University of Edinburgh’s research makes clear, song is the answer, and though it may seem silly, learning children’s songs offers a great introduction the the kind of simple, functional language that beginners need. Studying song lyrics in class - do sing along! - and listening to music in a different language will also help in a multitude of ways, from pronunciation to exposure to the type of colloquial language and expressions that you’re unlikely to come across in even the best textbooks. The benefits of using music to help you learn a language are plentiful. Being a musician yourself will help you even further, the language of rhythm and chords and musical notes being so closely linked to spoken language itself. So, if you want to really improve your language skills, now could be the time to finally sit down and have those piano lessons you’ve always thought about, or pick up that dusty old guitar… And if that seems too much like hard work, well: just turn on the radio and sing along.